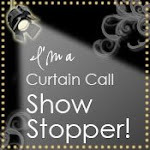 It's a busy time at our house right now ... it's my daughter Allie's senior year and we have many year-end/senior events going on, and graduation party preparations. I haven't been feeling particularly creative in the evenings, as my day job pretty much wipes me out. I won't be posting as regularly as I normally do until June, and hope very much that you'll all still be here when I get back in full force! 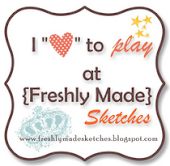 I do plan to keep up with my weekly iPICKS, and will share original artwork as it happens. 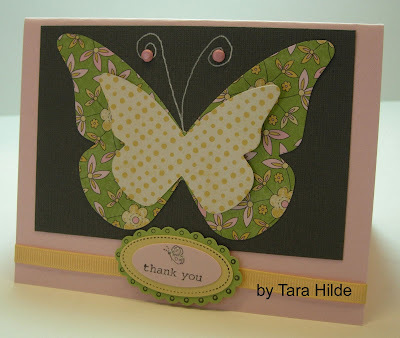 Ilina Crouse's Just Buzzing by Pop Up Card (My Creations). 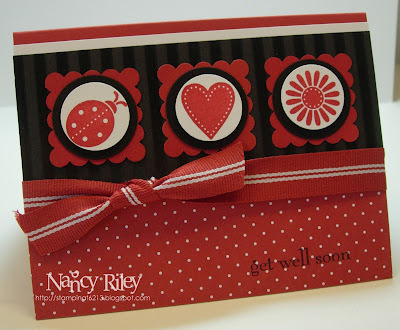 Mary Fish's Darling Dots Card and Just Beachy Summer Card (Stampin' Pretty). Beth's Summer By The Sea Card (Big Sky Paper and Design). MrsBoz's Mother's Day Card (MrsBoz on SCS). Dawn O's Manhatten Flower Mother's Day Card (DOstamping with Dawn). Carole Burrage's Saddle Up Card (Mother's Little Helper). 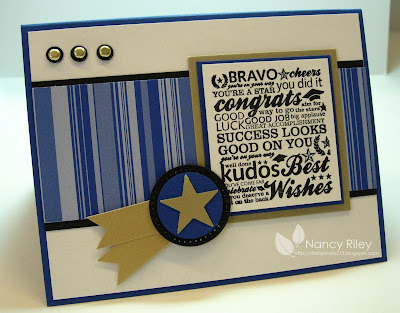 Riley's Great Friend Card (Stampin' & Dancin' With Riley). 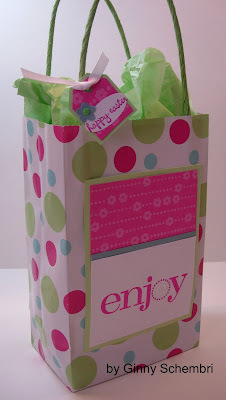 Melissa's Great Friend Card (Simply Pink). Michelle Yungbauer's Happy Birthday Card (Stamp and Smile). Julie's Explosion Cherry Scrapbook Box and Faux Alligator Purses (Thoughts that Stick). 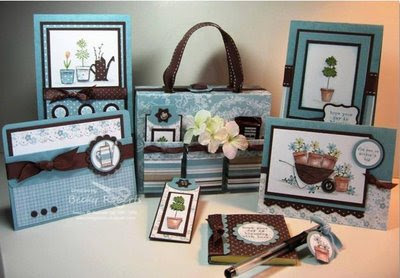 Cindy Lawrence's Baskets & Blooms Bin (Stamping Inspirations with Cindy). 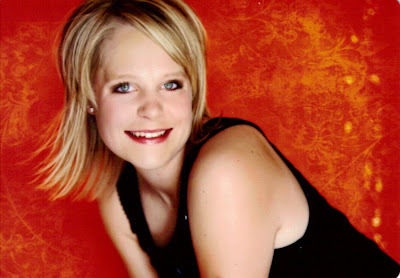 Amy Rohl's From The Desk Of (Ink About Me). Stacey Schafer's A Special Note of Thanks Card (Stacey's Stamping Stage). 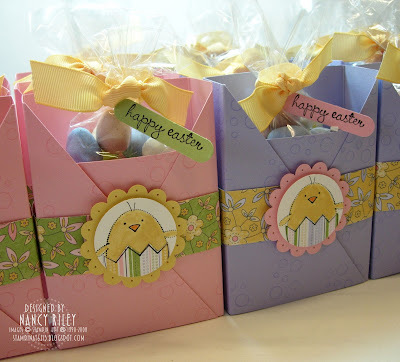 Michele Kovack's Recipe Box (Thoughts of a Cardmaking Scrapbooker). 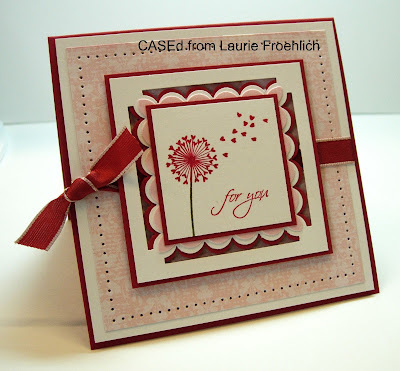 Laura Fredrickson's Because of You Card (Scrapnextras). 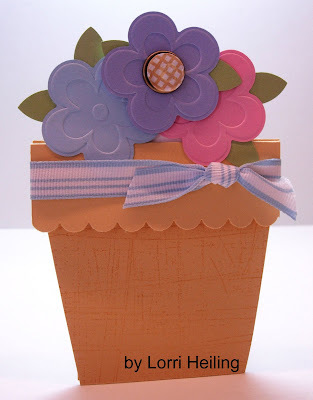 Heather's Too Cute To Spook Scrapbook Layout and Pop Up Flower Pot Card (Stamp With Heather). Vicki's Deer Forest Friends Card (It's A Stamp Thing). Chat's Trendy Trees Card and Echoes of Kindness Card (Me, My Stamps and I). Danita's Ahoy Matey Card (Danita's Daily Dish). 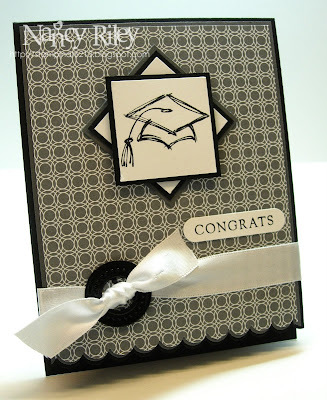 One more graduation card to check off my list! This one uses Taylor VanBruggen's Taylored Expressions Cupcake Challenge #64. 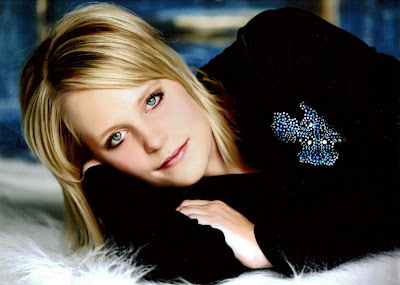 I used Allie's high school colors of Brilliant Blue, Gold (the school calls it Vegas Gold), with Basic Black accents. What you don't see in the photograph is that I used the Classic Stars Jumbo Wheel and Versamark on the large Whisper White background piece for a subtle pattern. Also difficult to see in the photograph is the paper piercing done with the Priceless Classy Brass Template on the Basic Black Circle that backs the gold star medallion. This adorable little card made a surprise appearance in my mailbox this week from Janice Weightman to congratulate me for being #15 in sales for the Stampahowlics SU Demo Group for February 2009. Remember last week when I was whining about my missing mojo? I thought I'd share the cards that didn't make the trash but didn't thrill me to publicly share them. 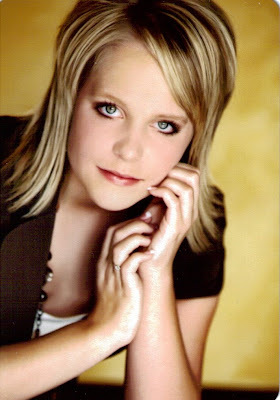 I'm really hoping to get some challenges done this weekend that I'll be excited about sharing with you ... in between finishing up Allie's graduation announcements and cleaning out some closets. 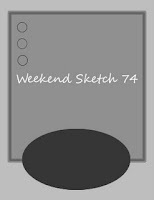 This first card uses Weekend Sketch Challenge #74 along with a few new items from the Occasions Mini Catalog ... 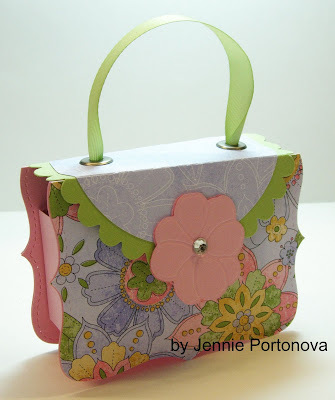 Walk In The Park Designer Paper, Oval All Stamp Set, and Scallop Oval Punch. This next card uses Weekend Sketch Challenge #73 with the Level One Hostess Set Darling Dots and Rockability Specialty Designer Paper. This last card uses Mojo Monday Sketch Challenge #82. The graduation image is from the retired stamp set, Sketch An Event. 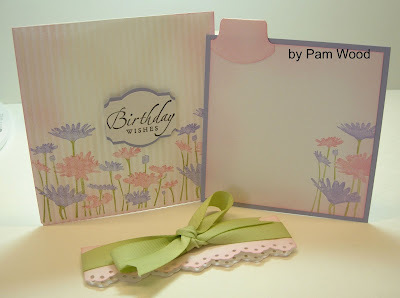 I've used several more new items from the new Occasions Mini Catalog on this card too ... Walk In The Park DP, Whisper White 5/8" Satin Ribbon, and Black Jumbo Grommets. Mercy Kerin's Ahoy Matey Card (Lord Have Mercy!). Mary Elliott's Mother's Day Card (Everyday Elliott). Vicki's Trendy Trees Card (It's A Stamp Thing). 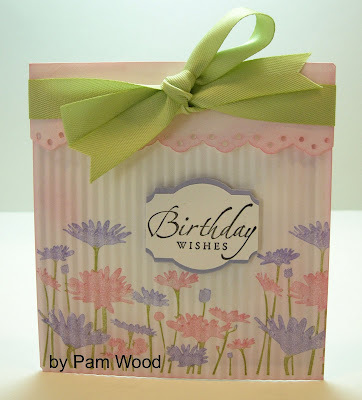 Jackie Wright's A Good Friend Card (Jackiestamps4fun). Vera's Dear Graduate Card (Vera Stamps). Christine's A Honey of a Day Card and Framed Art (ChristineCreations). 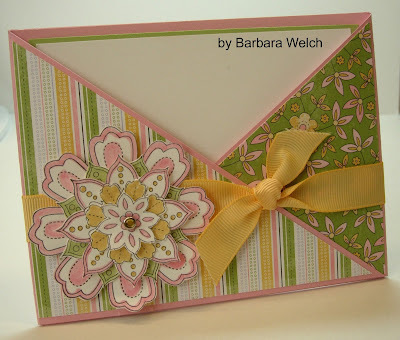 Debbie's Petal Pizazz Card (Stylish Creations by Debbie). Renee's Wild About You Card (Stamping for Sanity). 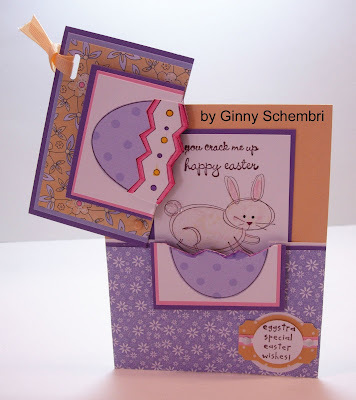 Cindy Lawrence's Easter Blessings Card (Stamping Inspirations). 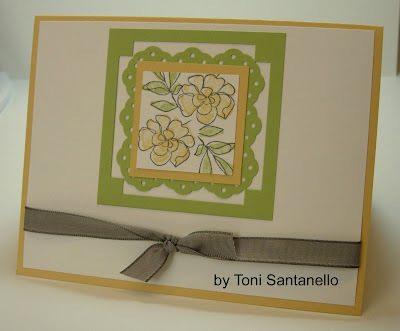 Susan Liles' Summery Color Challenge Card and Disney Card (Susiestampalot). 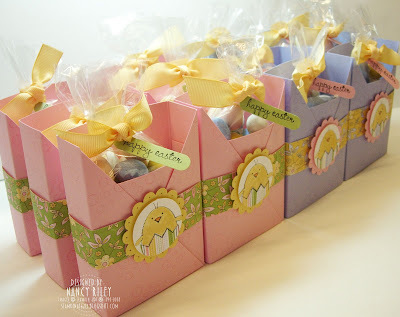 Jill Hilliard's Big Shot Baby Carriage Invitation (Jill's Card Creations). 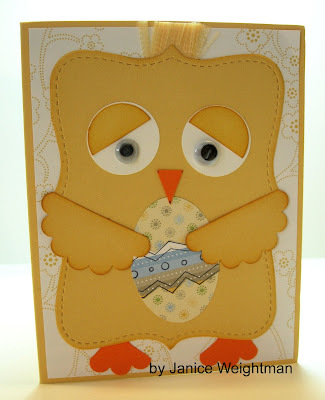 LeAnne's Pretty Colors Card (Wee Inklings). I was finally able to design a card tonight that I was satisfied with! I hope that means my mojo is here to stay for awhile! I guess my public whining helped (see previous post)! This week I'm finding myself in the biggest creative funk I've ever been in. 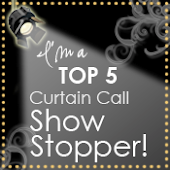 I can't tell you how many designs I've attempted and have ended up in the trash! We ordered printed graduation announcements for Allie's graduation, and I've been trying to design a very simple little open house invitation insert to go inside the announcement. Nothin's workin' for me!!! UGHHH!!!!!!!! I'll tackle it again this evening, and hopefully I'll come up with something I can live with. Thanks for the inspiration, Laurie! I hope to be back very soon with some original artwork! 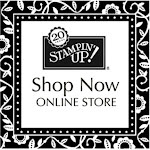 Last week was our monthly weSTAMP Stampin' Up! Demonstrator Group Meeting & Swap. This month, instead of a meeting, we changed it up a bit and "played" by making one of Becky Roberts' Tote-ally Awesome Totes! OMG! Becky's tutorial are AMAZING! 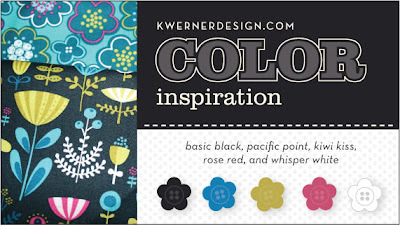 ... so incredibly easy to follow with full color photos and step-by-step instructions. Well, let's just say that all the weSTAMP girls but myself were able to follow along easily! LOL! Have I ever mentioned that I'm a solo stamper? When I stamp with other people, you'd swear I was a beginner and that I had no idea what I was doing! I made one mistake after another and eventually gave up for the night. Oh boy! 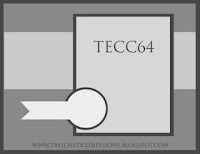 ... did Becky ever have a hay day relentlessly teasing me via e-mail with that information (which she got from Lorri) !!! Becky will be happy to know that I did complete my Tote-ally Awesome Tote the other night in the privacy and quiet surroundings of my studio ... ALL BY MYSELF !!!! and without error! I haven't completed the cards yet. When I do, I'll photograph my ensemble to share with you.This is Becky's sample ... Our swap theme for March was anything floral/springy using any combination of the colors of Certainly Celery, Pretty in Pink, Basic Gray, Almost Amethyst, and/or So Saffron. Here are our swaps (I am missing photographs of two of the swaps and will post them as soon as I can). 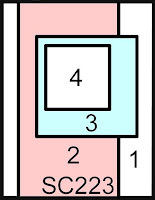 These are my swaps, and they are very similar to one of my class projects offered HERE (scroll down to the bottom of the post). 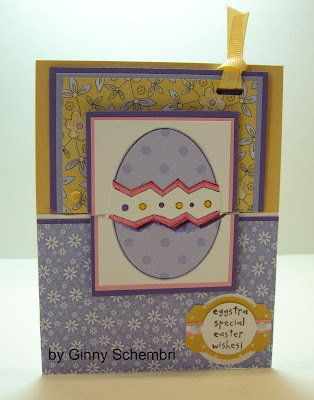 Laura Fredrickson's Egg-stra Special Easter Card (Scrapnextras). 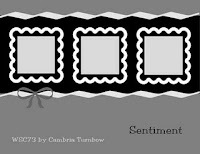 Emily Wundrock's Flopsy Card (Emily's Expressions). 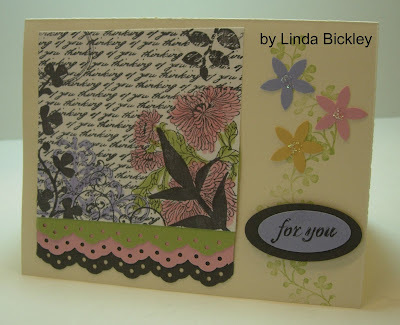 Kelly Lunceford's One Of A Kind Card (Flutter by Atomicbutterfly). 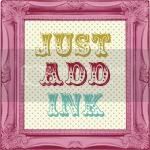 Amy Rohl's Just Because Card (Ink About Me). lbirus' Trendy Trees Card (lbirus on SCS). 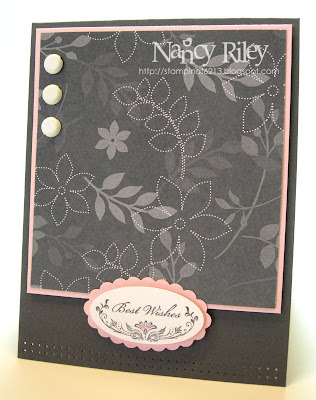 Julie Davison's Congratulations Baby Card (Julie's Stamping Spot). 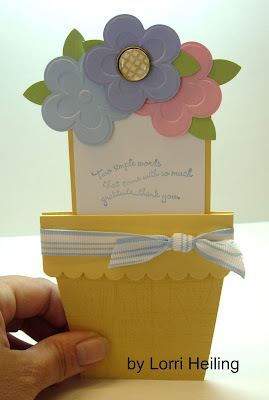 Tessa Wise's Eastern Blooms Bouquet Card (Crafty Girl Designs). Susan Liles' Beach Glue Project (Susiestampalot). Mary Jo Albright's Pop Up Cards (Beauty Lies Within). Dawn Easton's Candle Holder Project (Treasure Oiler Designz). Amy Sheffer's Superhero Card, Greatest Love Card and God's Beauty Card (Pickled Paper Designs). This is one reason why I've been absent from my blog this week. Yep, my daughter Allie went to her Senior Prom last night with a group of girlfriends. 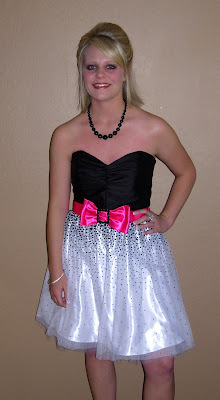 What made it so interesting is that she decided to go to Prom only several days prior! I've come home from work each day this week completely wiped out or have had to run the kiddos somewhere, and have not stamped. I'm dying to sit down to stamp but have other projects on top of the priority list right now (maybe tonight?!). I did stamp with our weSTAMP demonstrator group Tuesday night. I will get our swaps photographed and posted soon. 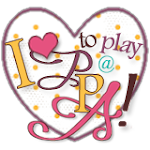 I'll be back tonight with my weekly iPICKS! Thanks for stopping by! Edited to Add ... Just to clarify ... I did not make this dress. I was simply busy helping with plans, etc.